2h 15mins travel from London or Kent directly to the center of Paris City. 1h 20mins to Lille from the heart of London, Ebbsfleet or Ashford in Kent. 1h 51mins travel to Brussels in the heart of Belgium. Only available if you are traveling as a Business Premier customer. The Business Premier Lounge is a well equipped bar for ultimate privacy on your journey. Find your way around the station. 24 hour access to currency in Euro or GBP from Cash dispensers located in the station. Using the currency exchange cash machines should be simple; by selecting an amount of money in your own currency; then selecting a currency to dispense from the cashpoint (only Euro or Pounds are available). 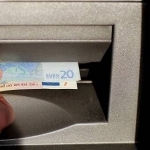 It is free to exchange currency using the ATM and ideal for smaller amounts. ATM's are located inside the station and another in the departures lounge once past the check-in point. Ebbsfleet station is located close to M25, M20, M2, A2, Dartford Crossing and Bluewater shopping centre. Train services from Ebbsfleet International station are operated by Eurostar. National Rail services by SouthEastern Railways operate from Ebbsfleet station to London St Pancras International, started in December 2009. These stations are also served by Southeastern, with direct services toward London and further into Kent. 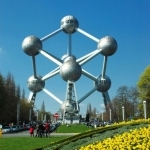 Direct Eurostar train services run from Ebbsfleet to Europes major cities. Ebbsfleet International station is well equiped and serves several trains an hour. Commuters can use the Fastrack bus, which run buses frequently to Ebbsfleet International. The buses travel from National Rail stations Dartford, Greenhithe and Gravesend.